Electrolytes are minerals found in the body that help regulate fluids and muscle contractions. If you lose too many electrolytes through illness or sweat, you might need to look into a beneficial electrolyte replacement drink. There’s no shortage of neon-colored sport and electrolyte drinks claiming to improve physical performance and help you recover. Whether you’re sipping these drinks because you just had an intense work out or you’re getting over the flu – are the health benefits really paying off? According to registered dietitian Kate Patton, MEd, RD, CCSD, LD, there is a proper time and place for electrolyte drinks. What are electrolytes and what do they do? Electrolytes are minerals found in your blood that help regulate and control the balance of fluids in the body. These minerals play a role in regulating blood pressure, muscle contraction and keep your system functioning properly. The right amount of electrolytes in your body is needed for optimal health and physical performance. If you lose a significant amount of these minerals (either by intense exercise, sweating, vomiting or diarrhea), you’re going to experience dehydration and feel pretty lousy. You might also experience muscle cramping and spasms. 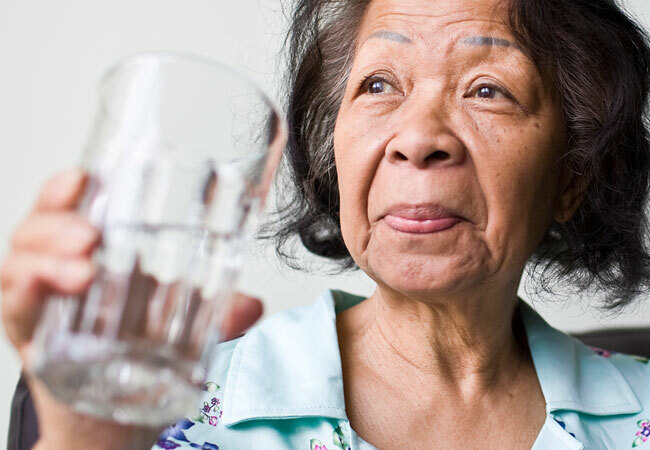 Most of us have felt the effects of being dehydrated at one point or another – dry lips and tongue, headache, weakness, dizziness, nausea, cramps. The main sign of dehydration? Thirst. How many electrolytes you lose during exercise depends on weight, fitness level, intensity, duration of activity, humidity and how much you sweat. The primary electrolyte we lose through sweat is sodium. Electrolyte drinks come in a variety of forms – from tablets that you drop into water, to powders that you mix up, to liquid that comes in a regular water bottle. Not all electrolyte drinks are created equal though, so Patton recommends reading the label first. If you’re working out for an hour or less, regular H20 will do. But if you’re exercising upwards of 75 minutes or more, then an electrolyte drink is a good idea during or after your work out. A typical 8 ounce electrolyte drink has approximately 14 grams sugar, 100 milligrams sodium and 30 milligrams potassium. There are even specialty electrolyte drinks for endurance and ultra-endurance athletes with greater potassium and sodium, plus additional minerals like magnesium and calcium. If you’re naturally a heavy sweater or looking to replenish hydration after you’ve been sick, focus on choosing zero or low-calorie options, says Patton. She also recommends reading the labels on immunity and vitamin drinks. Some of these options don’t necessarily have electrolytes in them, so they won’t do much for replenishing hydration.